Uncle Tobys are offering a free sample of their Uncle Tobys Caramel Puffs on Facebook. There are 6,000 samples available to Australian residents allow 28 days for delivery. Click here to visit Uncle Tobys on Facebook. Uncle Tobys Puffs Sample thanks GOGOgadget! Bioré are offering a free sample of their Pore Unclogging Scrub on Facebook. Samples are available to Australian residents one claim per household, allow 28 days for delivery. Click here to visit Biore on Facebook. Biore Pore Unclogging Scrub Sample thanks Jutta1! Purina are offering a free sample of Purina Supercoat for cats. Choose from Kitten, Adult or Older Cat formula. There’s a limit of one sample per household, allow up to 28 days to receive your sample. Click here to request a free sample of Purina Supercoat. Purina Supercoat Sample thanks SLS! Purina are offering a free sample of Purina One Biolife for dogs. Choose from Small Breed Adult formula or Small Breed Healthy Weight formula. There’s a limit of one sample per household, allow up to 28 days to receive your sample. Click here to request a free sample of Purina One Biolife. Free Purina One Biolife Sample thanks evil1! Get a free sample of Clearasil DailyClear Vitamins & Extracts Daily Wash via Facebook. There are 28,000 samples available to Australian residents, allow 21 days for delivery. Click here to visit Clearasil on Facebook. Clearasil Daily Face Wash Sample thanks Loocy! Gucci are offering a free postcard sample of Glorious Mandarin from their Flora by Gucci fragrance range. On registration you’ll receive a tracking code to track the progress of your sample. Click here to visit Gucci on Facebook. Flora By Gucci Fragrance Sample thanks evil1! Gift packs are available to Australian residents. *Note you need to allow popups in your browser to claim the gift pack. Click here to claim a pack from a phone or tablet. Click here to claim a pack from a computer. Neutrogena Gift Pack thanks Jutta1! Nescafe are offering a free sample from their Nescafe Cafe Menu on Facebook, “like” the Nescafe page to register. You will receive one Cappuccino and one White Choc Mocha sample. Samples will be sent to Australian residents within 28 days and New-Zealand residents 42 days. The offer is limited to one claim per household and is for Australian and New-Zealand residents only. Click here to visit Nescafe on Facebook. Nescafe Cafe Menu Samples thanks Jutta1! Command are giving away a free sample of their Picture Hanging Strips on Facebook. “Like” the Command Facebook page to register. There are 15,000 sample packs available, 1 per household. Click here to visit Command on Facebook. Command Picture Hanging Strips thanks ooo! Xara Xtreme 5 is a graphics tool for creating illustrations, editing photos, designing brochures or creating web graphics. Normally $89 US get it free until 29th April 2013. Click here to visit Xara. Gucci are offering a free sample of their fragrance Guilty Black on Facebook. Fill in the form to register for a free sample. On registration you’ll receive a tracking code to track the progress of your sample. Gucci Guilty Black Fragrance Sample thanks GOGOgadget! Uncle Tobys are offering a free 40g sample of Uncle Tobys Plus Calcium on Facebook. There are 5,000 samples available to Australian residents, allow 28 days for receipt of your sample. Free Uncle Tobys Plus Calcium Sample thanks Loocy! Get Big Fish Games Awakening: The Dreamless Castle free, normally $10.39 AUD. You may need to sign in or create an account. Creating an account is easy only an email address and password are required for sign up. 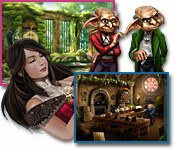 Click here to get Big Fish Games Awakening: The Dreamless Castle free – PC. Click here to get Big Fish Games Awakening: The Dreamless Castle free – MAC. keys2drive is an Australian Government-funded program providing learner drivers and their supervisors a free lesson with a keys2drive accredited driving instructor. Click here to visit keys2drive. Thanks Ladasha for sending this on in!